To be in Norris Point today, would be one filled with a fury of activities, marking the start of the 5th Annual Trails, Tales and Tunes Festival which will run until Sunday, May 29, 2011. For those with a sense of adventure this morning, they had the opportunity to take a hike to the top of the Tablelands (World UNESCO Heritage Site at Gros Morne National Park) under the care of trained staff of Gros Morne Adventures. This started at 9:00 AM and will last until about 5:00 PM for a fee of $50.00. However, there is something for everyone on their schedule from Yoga, Boat Tours, Music, Parades, Theatre, Food and Nightly Entertainment. This is a remarkable success story. A collective group from the Town, non-profits, organizations, business, artists, volunteers and others are involved to provide a unique offering of outdoor walks and hikes, talented local musicians, artists and storytellers, workshops and other activities. This truly is the kick-off to the summer tourism season and a means to extend the service offering on the shoulder season. As a frequent traveller, I tend to try to visit places outside of peak tourist season as the crowds are generally less, prices are lower and you get an opportunity to meet more locals. Gros Morne National Park gets around 180,000 visitors each year, with scheduled events and entertainment throughout the peak tourism season. When you have a strong product, it is important to try to broaden the season. Trails, Tales and Tunes is able to bring out the locals and those travellers on the fringe. They may come early and they may even come back throughout summer or at the end of the season. It is wise to have this festival at the beginning of the season, as there are a number of other festivals, activities and events that make for a competitive market within regions and across the province of Newfoundland & Labrador. On Wednesday, May 11, 2011, I had the opportunity to speak with a number of operators and most were preparing for the season – ensuring they would be open for the festival this weekend. There was much enthusiasm in the air and I only hope that funnels throughout the regions to have a strong tourism season for Rural Newfoundland & Labrador. So if you can, take in a day, two or more of this festival. I’ll be in the area on Wednesday, May 18th to check out some of the activity and maybe again on May 20th. I would like to extend a warm thank you to all those involved, as you continue to do truly amazing work. 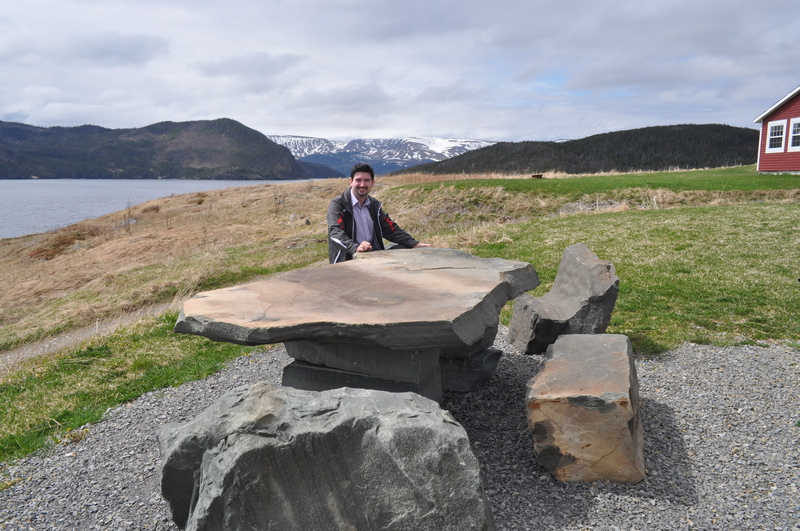 Posted on May 14, 2011, in Community Economic Development and tagged canada, festival, Gros Morne National Park, Newfoundland & Labrador, Norris Point, tourism, Travel and Tourism, World Heritage Site. Bookmark the permalink. 2 Comments.